Easter. The Pagan festival that celebrated the beginning of spring by honoring Eastre, the Teutonic goddess of the season. Now more commonly known as a Christian holiday. The purpose of Easter may have changed over time, but at its roots, the holiday is still a celebration of renewal, and it’s often associated with the uplifting, cleansing environment of springtime. We use this time to appreciate our loved ones and a vital part of Christianity– the resurrection of Jesus Christ. But this year we only have one single day to do this, before heading back to school on Monday, Apr. 22. And that’s exactly the problem. School districts pick a random week in early spring to hold our annual break, not taking into consideration the fact that some people still take the time to value religion. See, Easter usually falls somewhere between Mar. 22 and Apr. 25; the first Sunday after the first full moon of spring. On the surface, it seems like an annual, spontaneous surprise. But it’s really not that hard to plan for; you can literally look up the date of Easter for any year in the future if you’re that diligent of a planner. Yet apparently for our school district, it’s just too challenging to align spring break with Easter Sunday. So why should we get a free week right before or after Easter Sunday if Easter is designated as one day-long holiday? Are we really going to head to church and have an Easter egg hunt every day during break? Of course not. But if there’s anything I’ve learned about religion it’s that valuing family is a significant part of it. Without a week-long break, I know for a fact that Easter weekend is going to be full of homework assignments, studying and balancing all of it with the intangible joy of family traditions and celebrations. It’s unfortunate, but it’s true. 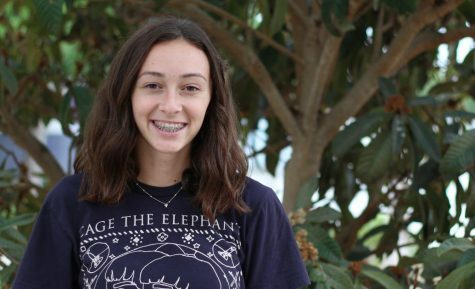 Throughout the year, it’s already challenging for high schoolers to appreciate family or develop any religious or spiritual character of their own. Personally, being busy every day of the week and competing in Speech and Debate on the majority of Saturdays prompted my mom to make Sunday a day just for going to Mass and being with family (and of course, a day to finish homework) but nothing else. And I completely embraced that because I knew it’s the least we could do to let go of worldly struggles for one day of the week and feel renewed before the cyclical workload began again. Considering the fact that 84 percent of Americans celebrate Easter, I’m sure I’m not the only high schooler who feels the challenges of embracing my religion in a school system that completely disregards it. Religion has the power to bring together family, relieve stress and remind us of what’s really important in life. All I would like is for our district to grant us a week where we can allow our religion to do just that. 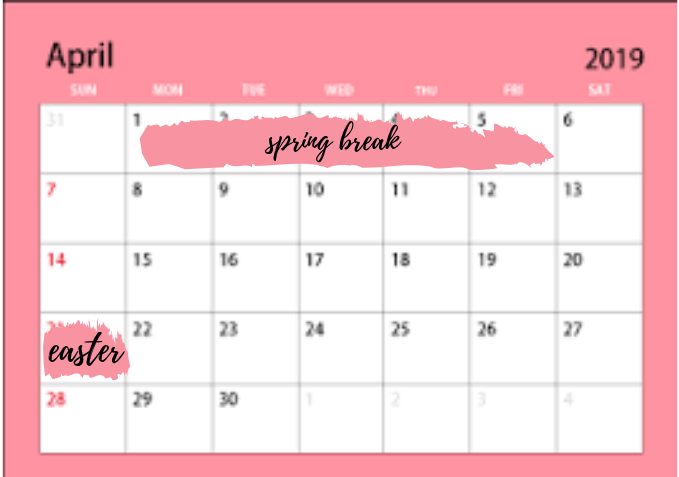 Like in 2018, having break on the first week of April may just happen to align with Easter, but our district has prioritized keeping break consistent from year to year. However, changing the one week of break depending on the holiday date doesn’t harm anyone. 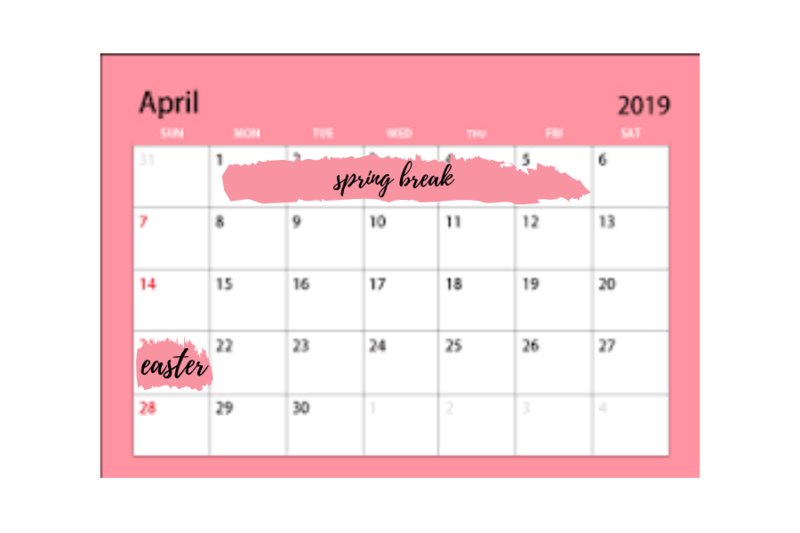 For instance, if your family is coordinating a spring break vacation for 2020, instead of assuming break will be the first week of April, simply consider when Easter will be next year and plan around that. Moreover, aligning spring break with Easter every year will in turn create nationwide consistency. If all school districts really took Easter into consideration, we’d all gain more time to spend with loved ones– imagine your siblings coming home from college or your cousins coming to visit from across the country because all of your spring breaks match up. We need to take Easter– take others’ religion– into consideration. Aligning spring break with a holiday that the vast majority of Americans celebrate would allow for more precious moments to spend with family, thus granting us the traditional springtime renewal that we all deserve.